Steve Whalley came out on a Brighton Marina Boat Trip on Ocean Warrior 3. We went offshore to the sandbanks to fish for Turbot. 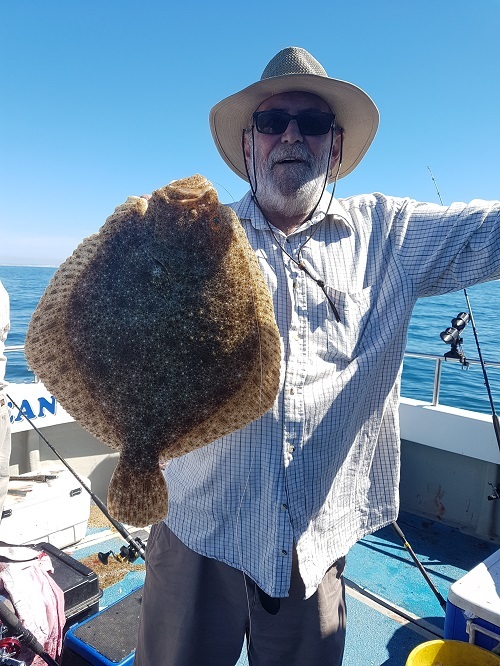 He caught the biggest Turbot of the day which was 10lb, caught on a Mackerel bait. Ocean Warrior 3 caters for all types of Brighton Marina Boat Trips, with 2 hour, 4 hour, 6 hour and 8 hour trips. We can take up to 10 people on any trip. These are ideal for all sorts of occasions, such as; 3 hour trips to the Rampion wind farm, 2 hour trips which are great for stag/hen parties, or just a cruise to Brighton Pier and back which are great just for a family trip. Here is Mitch with a nice Tub Gurnard of 3lb 4oz which he caught on his Brighton Marina Boat Trip. 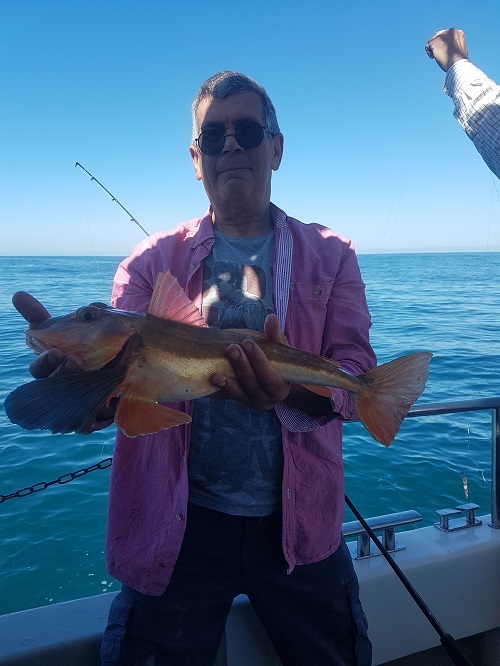 The Gurnard was also caught using a Mackerel bait while we were fishing for Turbot. 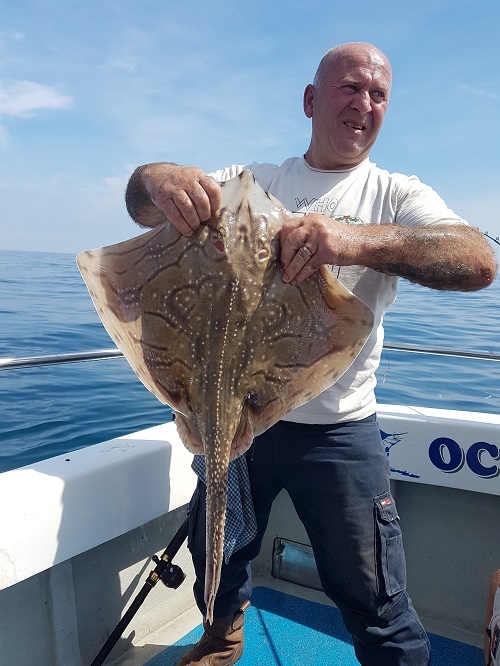 This is Brian out on the Turbot trip and caught a nice Undulate Ray of which we put back to sea alive. 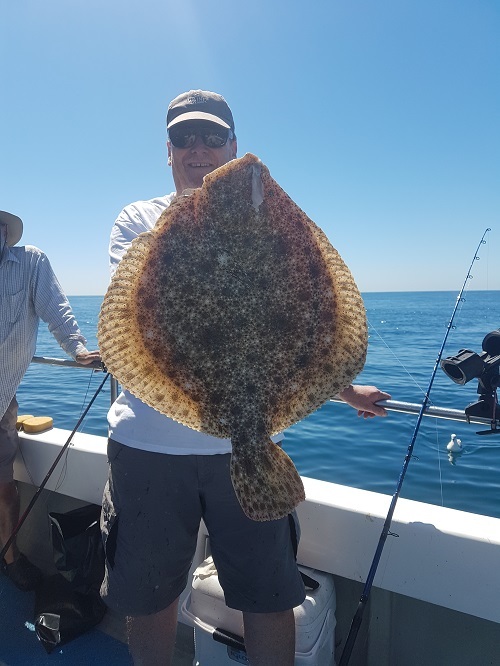 Here is another sized Turbot caught by Brian's mate while out on the Brighton Marina Boat Trip. 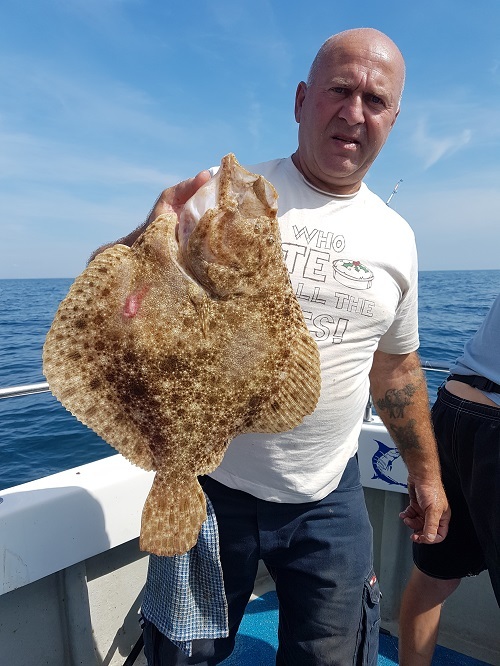 Here is Brian with one of his Turbot which was also caught using a Mackerel bait. If you would like to book up a Brighton Marina Boat Trip visit our website on www.oceanwarrior3.com or call David on 07966 377145. The Marina also offers a wide variety of amusements, restaurants, bars and shops to compliment your Brighton Marina Boat Trip. There is also free parking on the top levels of the multi storey car park for your convenience.